London: Sidgwick & Jackson, 1994, Hardback in Dust Wrapper. From the cover: “Has the twentieth century produced a more successful princess than Grace Kelly? She was the very embodiment of the idea. Glamour, humanity, warmth, aloofness, elegance — Grace blended all the conflicting and contradictory components necessary to succeed as a royal person in the age of the tabloid and the telephoto lens. From the moment she stepped before the movie camera in 1950, the world was captivated by this stunningly beautiful yet elusive actress. Robert Lacey, author of Majesty and The Kingdom, is the first biographer to penetrate the storybook facade. Through hundreds of interviews with Graces family and friends, he weaves the tale of a complex and surprisingly conflicted woman who created a dream for herself and lived it. Aristocratic in bearing, she grew into a sensual, recklessly daring woman, who was both a conformist and a rebel. By the time she was a young actress, she had had passionate affairs with some of the most glamorous film stars of the day: Clark Gable, Ray Milland, William Holden, Bing Crosby, and Jean-Pierre Aumont — an early hint of Grace’s fondness for the exotic and continental. 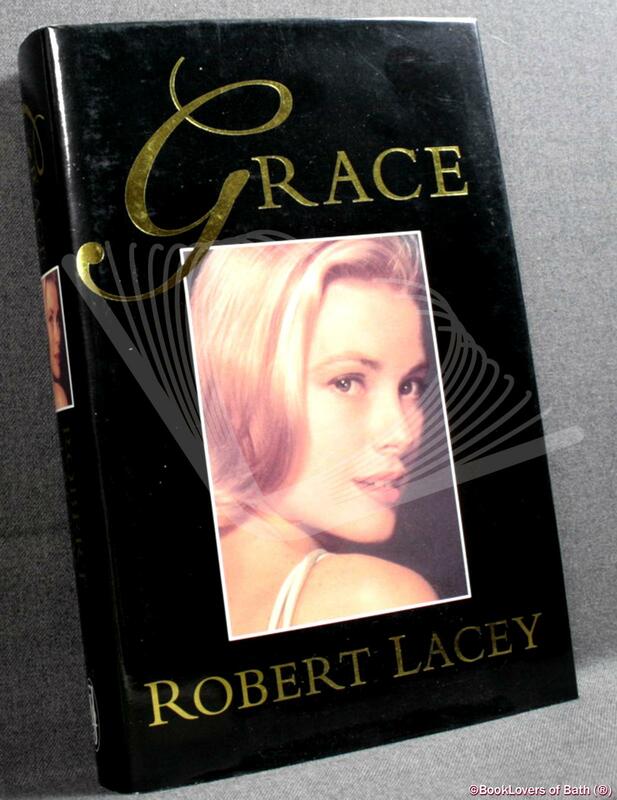 Robert Lacey gives intimate details of how Grace met her prince, and of their relationship — half marriage of convenience, half genuine love match. He describes their wedding, the unhappy early years in the gloomy palace on the rock, and how Grace rose above them. Her eventual success as the Princess of Monaco was the result of hard work, determination and extraordinary dedication. She was plagued by miscarriages. She indulged her children. As she grew older, her life became consumed by her conflicts with her teenage daughters. Lacey brings out the true nature of her relationship with Rainier, how the dream marriage cooled in later years — and he describes the consolations to which Grace turned as she approached middle age. Grace’s tragic death at the age of fifty-two remains a shock and a mystery. Princesses are not supposed to leave us like that. Lacey provides new details — what really happened in the car, Rainier’s decision to switch off the life support machine, the anger which that aroused in the Kelly family. He recounts the misadventures of the Grimaldi children since their mother’s death — the paternity suits against Prince Albert, Princess Stephanie’s child born out of wedlock, the marriages and romances of Princess Caroline. Size: 9½" x 6¼". Black boards with Gilt titling to the Spine. 463 pages.